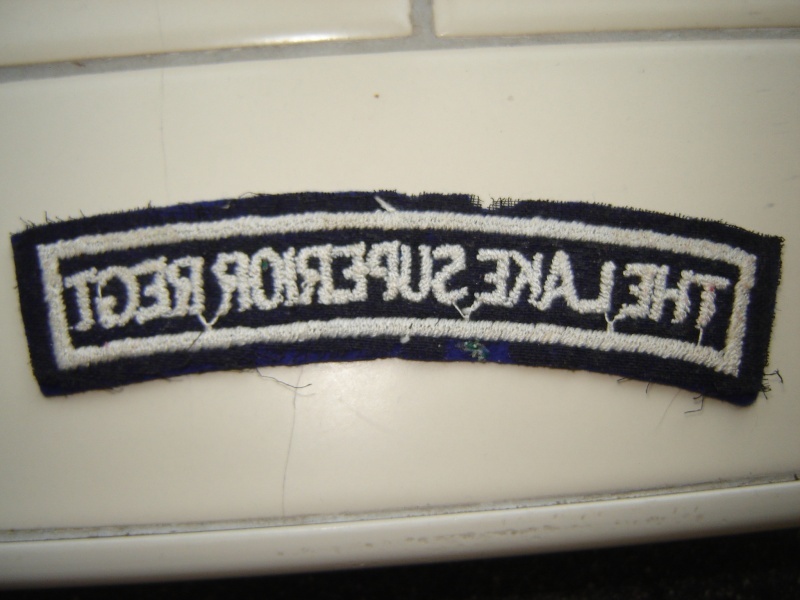 Is this a ww2 made example of the LSR regiment? Hi Henk-Jan, The title you have pictured is attributed to the Second World War era. It has the characteristics of British manufacture. The Canadian pattern is the two layer title. Thank you Bill,another empty space filled on my 4th division board. I was in doubt about the construction of the patch,because the front looks british but the back with the black cloth looks Canadian to me. Do you know why this model differs so much in appear from the printed one? Hello Henk-Jen, I don't know why the title differs so much. It may be attributed to the title being made in the UK. 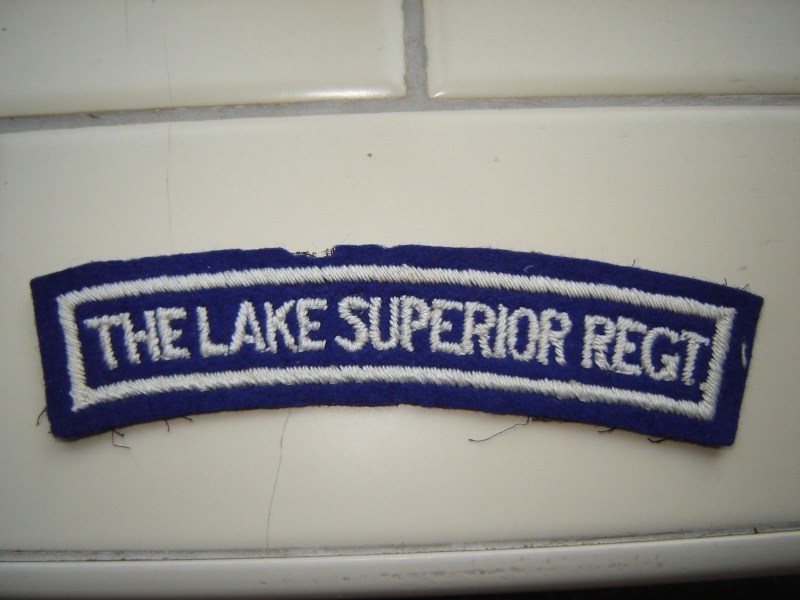 The colours on the authorized Lake Superior Regiment title were representative of the 52nd Bn battle patch, the perpetuated CEF battalion. The colours on this one are incorrect, being white on blue.